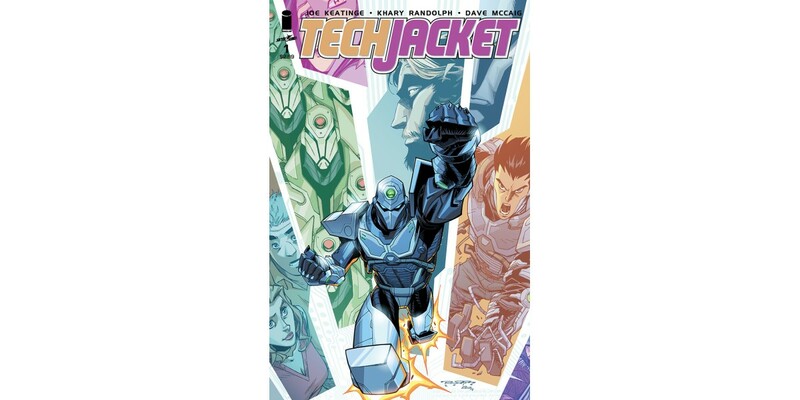 Skybound/Image Comics announced Friday at their Emerald City Comic Convention panel that TECH JACKET will return as an all new ongoing series. Justice League Beyond) team up once again to launch Zack Thompson a.k.a. Tech Jacket into an ongoing print series with a July 2014 release. “This project is a dream come true for me,” added Randolph. “Working with Joe, Robert Kirkman, and the rest of the Skybound family has been a blast and I’m sure the fans will see how much fun we are having on this series. If you like action, adventure and excitement then you will love TECH JACKET." In celebration of launching the new series, Image Comics will be offering an exclusive discount on Comixology. Get issues of TECH JACKET and associated Skybound series INVINCIBLE UNIVERSE, GUARDIANS OF THE GLOBE, SCIENCE DOG, THE ASTOUNDING WOLF-MAN, and more for only $0.99, with collections up to 50% off. Sale ends at 11 p.m. EST on 3/30.